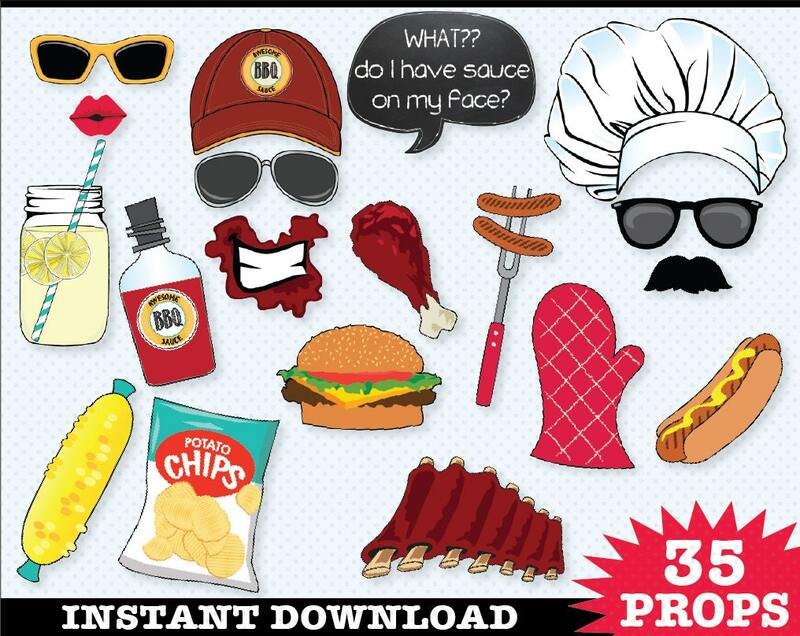 (¸.·´This BBQ Photo Prop kit consists of 35 DIY printable props including: Chef Hat ★ Baseball Cap (BBQ sauce theme) ★ Retro Radio ★ 4 Sunglasses ★ Sauce on Face Mouth ★ 3 Mustaches ★ 3 Lips ★ Mason Jar of Lemonade ★ Bottle Soda Pop ★ Bottle of Beer ★ Bag of Chips ★ Watermelon ★ Corn on the Cob ★ BBQ Ribs ★ BBQ Chicken Leg ★ Steak ★ Hot Dog ★ Burger ★ Shish Kabob ★ Hot Dogs on Fork ★ BBQ Sauce Brush ★ Oven Mitt ★ BBQ Sauce ★ Mustard ★ Ketchup ★ BONUS - 2 EDITABLE Speech Bubble - to add your own personal touch ★ Photo Prop Sign ★ Instructions, Plus Information for materials need & paper suggestions. 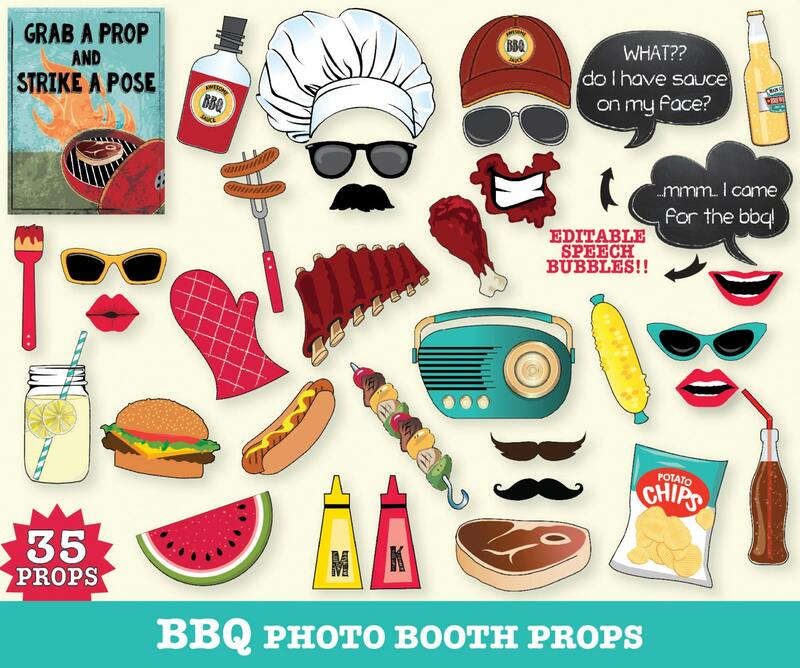 You’re sure to FIRE UP some fun & laughter with these BBQ Photo Props! 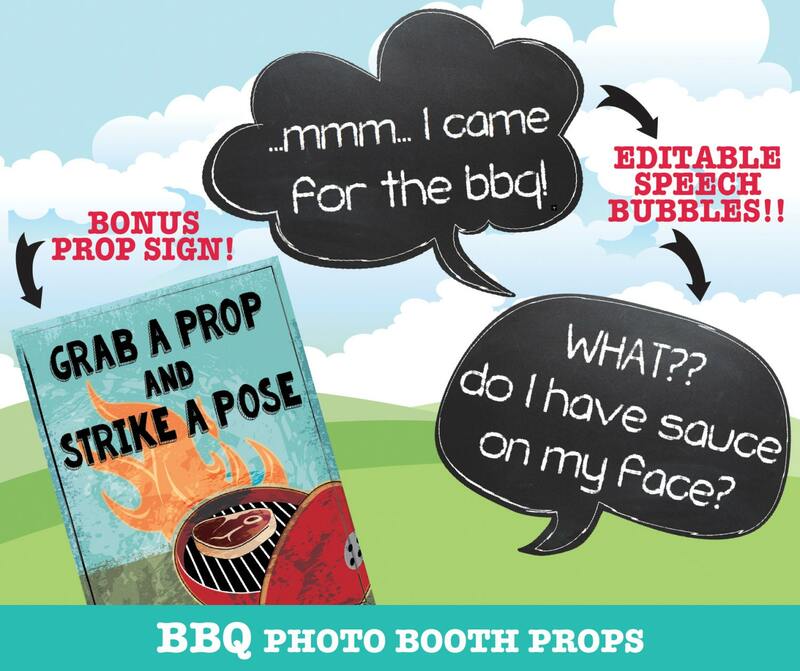 Let your guests ham it up with these whimsical BBQ photo booth props. Add more fun to every smile at your party, shower or BBQ get together… you’ll capture the best moment, and make them extraordinary! Besides, who can turned down great BBQ and a smile? Worked out perfectly. 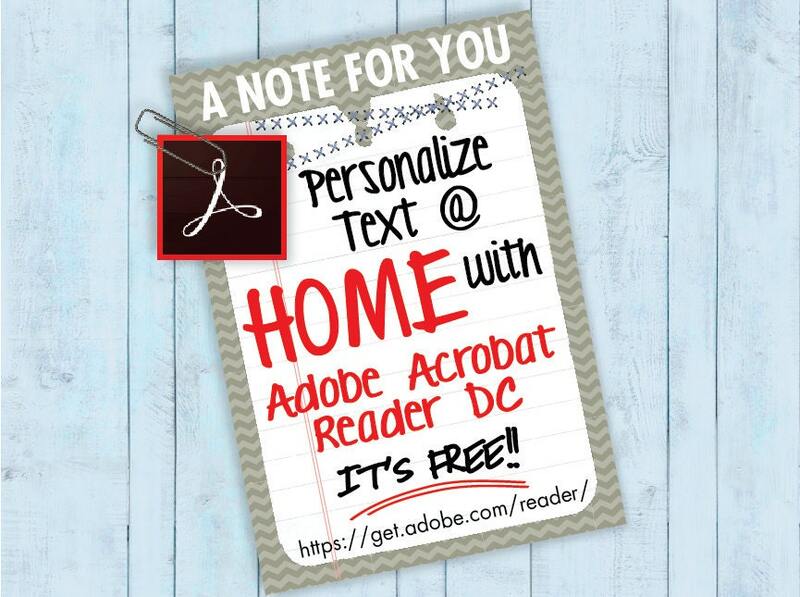 Printed on cardstock, cut them out, and hit glued sticks to them. Very easy! Super cute! Easy to make!! These were perfect for our "I Do BBQ"! Thanks you so much! Everyone really enjoyed them!